Allah has made such a beautiful relationship of marriage and mentioned it in the Quran again and again, stressing on us to remember. But while we Muslims accept the beauty of the institution of marriage, it falls upon ourselves to beautify the relationship more and more ourselves too. Because unless we ourselves don’t put in an effort, there will not be blessings in our marriage. The Holy Prophet (PBUH) said about the love that a Muslim husband and Muslim wife have for each other that “When a husband and wife look at each other with love, Allah looks at them with mercy”. How much more beautiful can this marriage get if it not only has the blessings of Allah but also His mercy. It is reported that when a companion and cousin of the Prophet Mohammad (PBUH) used to comb his hair and beard, wear nice clothes and look good and when people asked him why, he used to say ” I like to beautify myself for my wife as I like my wife to beautify herself for me.” In doing that not only did he ensure that he himself looked presentable for his wife but also ensured that his marriage was beautiful in the eyes of Allah. Ofcourse there are other ways to beautify your marriage as well and no matter which way you adopt, you will have the pleasure of Allah. Just making an effort towards being kind, caring, loving towards your spouse, listening to them and keeping them happy goes a long way in beautifying the relationship. 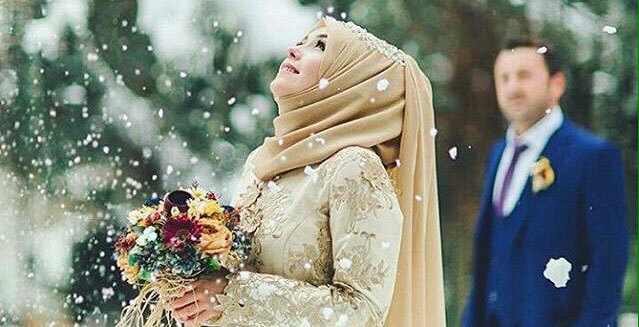 No one has asked you to make your marriage perfect, but Allah HAS asked you to make your marriage beautiful. And may we all succeed in doing so IA.